Teamwork is our Strength and Collaboration is our Constant. The Customer is a premier service provider of all-fiber based high-performance networking solutions. The Company has 250+ employees and they provide services which includes design, planning and delivery of internet services. Due to this they generate a lot of data which needs to be stored and retrieved from time to time. Each individual project has multiple kinds of documents and network designs. These documents were stored in a File Server in a complex folder structure. There was also duplication of documents and there was absence of effective search and indexing. They needed a solution which enables them to have secure and efficient file sharing and storing system for document Management. They also had an On-Premise Exchange Server which was used for Email. Every user had about 2 GB mailbox. Beyond this, they users had to manage the data on their own using PST stored on their hard disks. This was quite cumbersome. Besides, just having a single Exchange Server meant that Server reliability was an issue. The Customer contacted TechGyan primarily for a Solution on Document Management. TechGyan suggested that they use a rich combination of different Technologies. To give them the required idea, the Customer was invited to visit TechGyan office to see first hand how the various Technologies can work together to deliver the rich Collaboration experience. 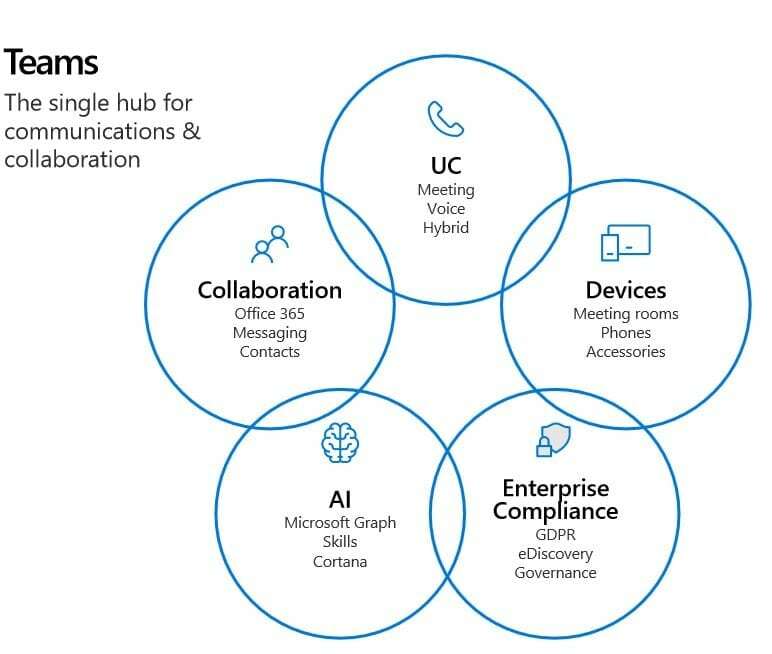 TechGyan then deployed Teams as a Hub of Collaboration and connected various SharePoint Team Sites and Document Libraries to Teams. This structure enabled users in different Teams to do a quick discussion around documents. The Teams environment enabled Chat; audio and video calling; discussion around documents; Team meetings. The individual documents which the users stored in My Documents were moved to One Drive for Business. Yammer was deployed to facilitate Company wide “Outer loop” Communication by way of Announcements. Along with Teams and Document Management System, the Emails were migrated from On Premise Exchange Server of Office 365. The On-Premise Exchange Server also had a third-party Email filtering service. This was moved to Exchange filtering service. The Email Migration resulted in very clear benefits: One was for Business Continuity and Availability. Second was for cost. For a mid-sized Company, to get similar functionality in On Premise World, the costs would be 50% more. A major business impact after moving Email to Office 365 has been that there is now zero downtime of Email system. Another impact area has been that Customer is always using the latest version of the service, be it Email or MS Office. On the advice of TechGyan the Customer took up deployment of Teams as a Hub for Collaboration. The Teams was connected to various SharePoint Team Sites and Document libraries. By making use of advanced Document Management features like Keywords; Metadata; Document Archive and Retention, Customer has been able to improve Document related Productivity by 15%. the Customer has also been able to reduce Document Data Duplication by 10%. The Document Search capability has improved substantially. And overall Collaboration via Teams has seen big improvement over using Emails for Collaboration. Yammer is now very effective for certain types of Corporate wide Communication, be it Announcements or feedback on new HR initiatives. The Planner is used for Task allocation and monitoring. The tasks are no longer missed out by getting buried under Emails leading to a clear improvement in task management by 20%.